How long does it take to recover from a one hundred mile run? As with many things running, it depends. This post applies to not only 100 mile runs but any endurance challenge. There are a lot of factors that go into recovery time from any endurance event. Recovery can be as short as 3 days or as long as 3 weeks. That being said, there are things which make it go in one direction or the other. In my opinion experience is the biggest factor in the length of recovery. The more 100’s you’ve done the more familiar your body is with recovering from them. You teach your body how to rebuild after being strained in that way. Injury is also going to play a big role in your recovery. If you were injured before the race and went into it without being fully healed, you should allow more time for recovery. Same on the other end, if you were injured during the race, it is obviously going to take you longer to recover. The type of terrain can impact our ability to recover from a run. Running up and down a mountain takes some people longer to recover from, for others it is running flat for 100 miles that takes longer. If you run up and down, you are able to use different muscle groups throughout the run. This allows some recovery during the run. I’ve heard many times running a flat 100 is harder than a mountain 100 because a flat run uses the same muscle group the entire time. Extreme heat or cold make it more difficult to recover from a run. You have to work twice as hard to maintain your internal body temperature in high or low temperatures under normal circumstances. 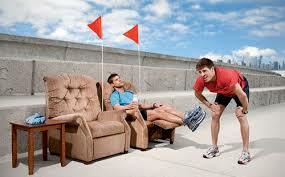 Adding in running for twenty-four hours or more and you can easily triple or quadruple the energy output required. The more you have depleted your body, the longer it takes to recover. Food lifestyle (I don’t like the word diet) plays a role as well. Your body needs the right nutrients to get back to homeostasis. If you don’t fuel your body well before and after your run, it can’t repair the muscles and tendons you have relied on during your event. Surviving on Oreo’s and potato chips during the run is fine, but before and after are another matter entirely. There are foods that have anti-inflammatory properties which can speed recovery up. Preparation, as in training, is key in running a 100 and not just to give you the best possible chance of finishing. It also gives you the ability to recover well. It goes back to teaching your body how to recover and rebuild the muscles. If you have completed all of your back to back long runs and run the type of terrain for your race, your body knows what to do. It doesn’t matter if it takes you three days or three weeks. Take the time you need to recover or you’ll be back on bedrest healing an overuse injury. Sleep in, eat well, and be active at a comfortable level. Yes, I always recommend coming back slower than you think. You should definitely not jump right back into your peak miles from before the race. Absolutely. If you love running enough to train for a 100, taking time off is hard enough, but having to take time off because of an injury caused by returning too quickly is even worse. Yes, I am just trying to stay away from injuries as much as possible. My favorite anti-inflammatory supplements are turmeric and fish oil. I also try to take in extra protein and extra Vitamin C in foods after a long race. Those are great suggestions. I have heard about turmeric’s anti-inflammatory properties. It’s an excellent alternative to iburprophen and other such things. Vitamin C is also good so you don’t come down with some virus right after due to taxing your body. That happened to me this go around. Which 100 are you running in June? Black Hills 100 / June 24 ! Not only might Vitamin C help you avoid a virus, it also has been shown to assist healing and recovery by boosting the production of collagen, a protein that your body uses to make connective tissues found in tendons and ligaments.